The car that looks out for you. Whether you're negotiating busy urban roads or stop-and-go traffic, the Arteon is always keeping an eye out. The City Emergency Brake with Pedestrian Monitoring function uses a radar sensor in the vehicle to detect when something suddenly enters your vehicle's path without warning. It firstly gives an acoustic and visual signal to warn the driver, then prepares the vehicle for hard braking. If the driver fails to react, the system automatically performs emergency braking. Using the car’s built-in sensors, the Arteon can detect potential accidents both in front and behind the vehicle. If a potential accident is detected, the system warns the driver with an alarm and other road users by flashing the hazard lights. Then the front seat belts are automatically tensioned to protect the driver and passenger, and any open windows or sunroof are closed except for a small crack to allow for optimal conditions for airbag deployment. Built to assist parking, even in the tightest of spaces. Manoeuvre Braking - front and rear – is designed to avoid or reduce the likelihood of a collision by automatically braking if an obstacle is detected by the parking sensors. Using a radar sensor, Front Assist detects a possible collision with the vehicle in front. It will warn you and prepare the car for braking. If nothing changes, it applies the brakes giving you a better chance of avoiding or minimising a collision. When you’re travelling below 30km/h, City Emergency Brake will prepare the brakes if a collision is likely. It the driver doesn’t brake, the system will do it automatically. The Adaptive Cruise Control (ACC) system lets you set the speed you want to travel and the gap you want to allow between you and the car in front. Using a radar sensor, the car then maintains your speed and your distance. In doing so it makes life easier for the driver, particularly on long journeys, and reduces the risk of exceeding the speed limit. The Side Assist function can help make changing lanes even safer. 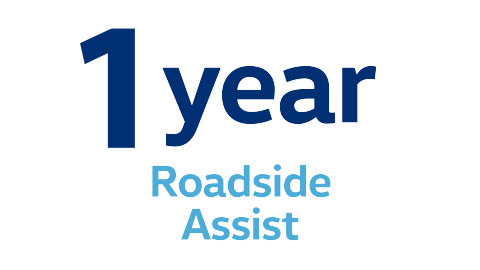 Side Assist uses two radars at the rear of the vehicle to scan up to 50m behind the vehicle, alerting the driver to any cars approaching when changing lanes. The active steering function also provides resistance to the steering wheel if you attempt to change lanes while a vehicle is in your blind spot, further alerting you to a potential collision. Using a camera to monitor the markings on the road ahead, Lane Assist with Adaptive Lane Guidance helps keep you safe by keeping you in the centre of the lane. If you start to leave your lane without indicating, the system takes corrective steering action. If you still don’t respond, a message will appear in the Active Info Display in conjunction with a warning tone. The Arteon comes with a standard nine airbags, including front driver and passenger, front and rear side, front and rear curtain and driver's knee. So if something does go wrong, you’ll be pleased you’re in an Arteon. A welcome wake up call. This potentially life-saving system continually evaluates signs of fatigue, such as steering movements and other independent signals. If fatigue is detected, it warns the driver with an audible alarm, and visually on the Active Info Display, recommends the driver takes a break. Whether reversing out of a busy parking lot or trying to squeeze into a tricky spot, an extra set of eyes is always handy. The Rear View Camera, cleverly hidden behind the Volkswagen badge on the boot, displays a live picture on your screen that shows what’s behind you, making reversing safer and easier. Replace the conventional handbrake with a button. Plus, with Auto Hold, when your car comes to a stop, the ABS hydraulic unit holds the brakes, allowing you to comfortably take your foot off the pedal. Don’t take your eyes off the road. Everything you need to know is now right where you need it to be. The Head-Up Display presents key driving information directly in your field of vision. Assistance systems, as well as navigation messages are also pushed directly to the high-quality glass panel. Illuminate the road in poor weather. The all-weather light function distributes the light in a special way to illuminate the road better in generally poor weather conditions like rain, fog and snowfall. The static cornering lights are switched on simultaneously with the main beam in both headlights to provide a better view of the road ahead. To help you get through stop-and-go traffic easily, Traffic Jam Assist uses proven functions like Adaptive Cruise Control and Lane Assist to allow easy, slow driving in traffic jams. The Arteon will follow the vehicle ahead at a speed of 0 to 60 km/h and automatically operate the accelerator and brakes within system limits to help you avoid typical traffic jam collisions. Using sensors on either side of the front and rear bumpers, together with parking distance sensors front and rear, Park Assist actively helps you 90-degree park, back into a park and get in and out of a parallel park. Four cameras provide live information from around the car into the cockpit, providing a reassuring all-round 360° view of your vehicle’s environment. Four wide-angle lenses concealed in the wing mirrors and the front and rear of the Arteon extend the driver’s field of vision, providing assistance during difficult parking maneuvers. More efficiency and better for your wallet. 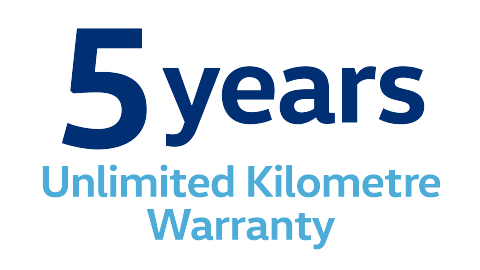 BlueMotion Technology consists of a range of innovations and intelligent technologies designed to achieve greater fuel efficiency, and includes a stop/start system. This money-saving feature automatically stops the engine when you come to a standstill, helping you cut back on fuel consumption. The system starts again when the vehicle in front moves, ensuring the engine is ready before you need to take-off, making the stop/start process as seamless as possible. Just a push of a button is all it takes to adjust your car’s steering, acceleration, and suspension response. Choose between Eco, Comfort, Normal, and Sport driving profiles. 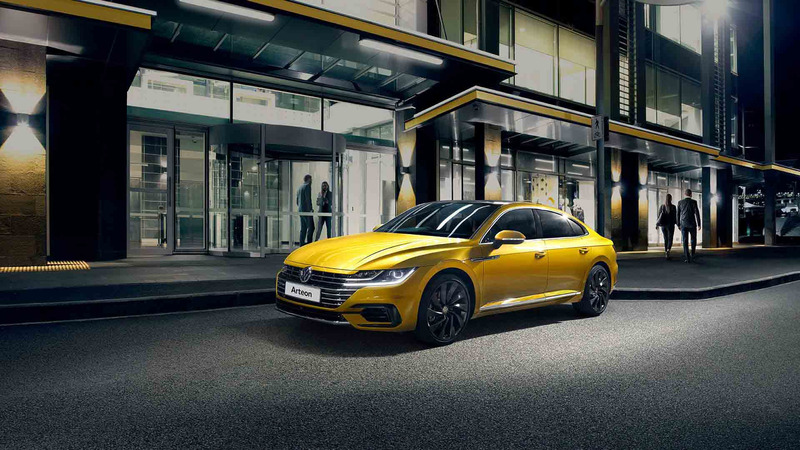 Exclusive to the Arteon is the individual mode with a virtual slider control for the adaptive chassis control. It allows for 43 possible settings which go from comfier than Comfort mode to sportier than Sport mode for a truly individual driving experience. The new era of dash display. Hello digital. The Active Info Display replaces the traditional instruments that sit behind the steering wheel with a 12.3" high-definition digital screen. 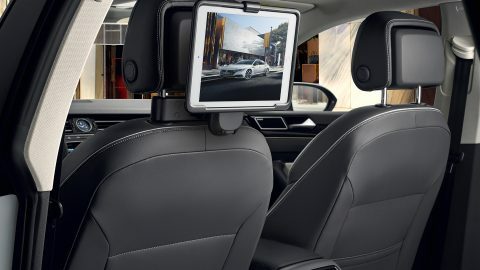 It puts everything you need right in front of you, with configurable views for navigation, infotainment, driver assistance and vehicle functions. Enjoy navigation, entertainment and access an extensive list of vehicle features through a beautiful 9.2” high definition display. The gesture control feature lets you navigate through various menus, all through a simple mid-air swipe of the hand. Access your smartphone’s screen, selected apps, maps, and music through App-Connect on your car’s touchscreen and Voice Control. This is possible thanks to three innovative technologies: Apple CarPlay®, Android Auto™ and MirrorLink® interfaces. More control for passengers means less distraction for the driver with the new Media Control feature. By downloading the free Media Control App, compatible with Android & iOS, you can turn a smartphone or tablet into a remote control for the Volkswagen Infotainment system enabling users to control selected functions such as navigation, radio station selection and media. Beneath the high-end design of the Arteon lurks high-end power to match. Our latest 2.0L turbocharged engine gives you 206kW of power at 5700rpm and delivers peak torque of 350Nm at 1800rpm. Sending the power to the wheels is a 7 speed DSG gearbox, while our 4MOTION all-wheel drive puts that power where it needs to be and ensures you have the right traction on any surface. 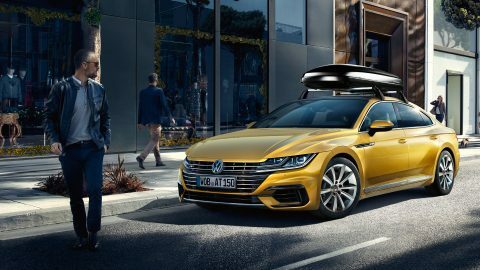 The Arteon combines a sleek coupé design with the size and luxury of a sedan, featuring a liftback tailgate allowing you to take full advantage of the space. Adding to the sleek aesthetics of the Arteon are frameless side windows front and back. With the Easy Open and Close function, the tailgate can be opened by simply kicking your foot in front of a sensor, making it enormously convenient when your hands are full. Closing the tailgate is as easy as pressing a button, or allowing the Easy Close function to shut the tailgate automatically when you move away from the vehicle. Good looks right down to the ground. Four more reasons to turn heads, with exclusive gloss black and machined 19” Montevideo alloy wheels. Accentuating the striking design of the Arteon is the unique R-Line Black Carbon-Nappa leather appointed1 seat upholstery. For an extra level of luxury, both front seats and the left and right rear passenger seats are equipped with fully adjustable heating. Ensure you have the right lighting for any condition, and increase your visibility to other drivers with Dynamic Light Assist. This safety system automatically controls the high beam by partially masking the beam when another car approaches, so it doesn’t dazzle oncoming traffic. 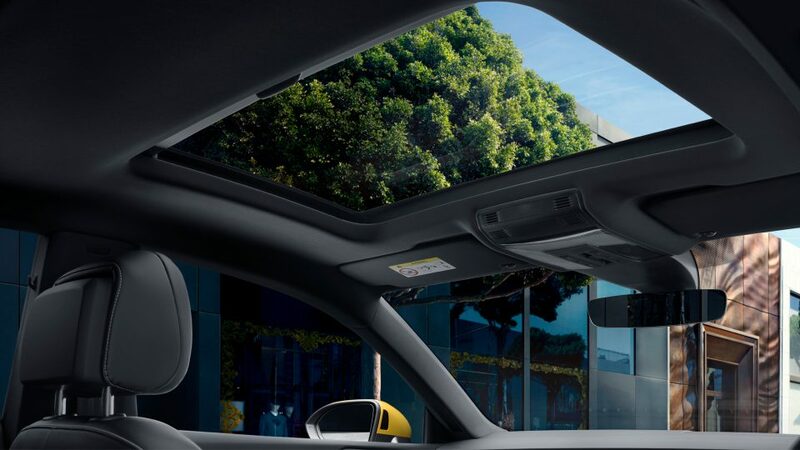 It allows the high beam to remain on making nighttime driving safer and more convenient than ever before. The Arteon features rear LED tail lights that have a strip of Dynamic LED indicators. These indicators sweep from the inside out to provide more noticeable signals for other drivers and add a touch of dynamism to an otherwise ordinary feature. Subtle LED strip lighting built into the interior of the vehicle, adds a colourful and luxurious ambience to the cabin in blue, white or yellow. The brightness, colour and operation of these lights can be controlled from the Infotainment system. The electric side mirrors of the Arteon conveniently fold flush against the vehicle when you lock it, keeping them protected and out of the way. When you unlock the vehicle, the mirrors return to their set position. 4. Overseas models are shown for illustrative purposes only. Optional accessories, at extra cost. Please note that optional accessories may have an effect on fuel efficiency. Bring a spare set of wheels. 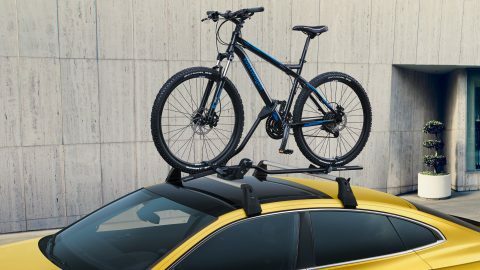 The aerodynamic bicycle holder has a quick-fastening system that makes it easy to fit and can be locked for peace of mind. Keep the back seat entertained. 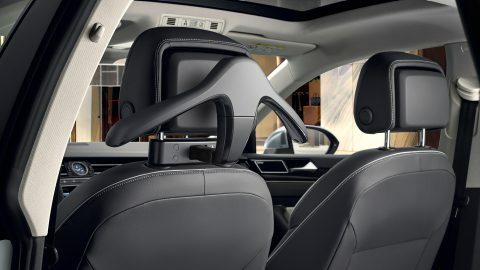 This module is fixed between the front seat headrest mountings and can be used with various tablet holder attachments, bringing comfort and convenience to any journey. 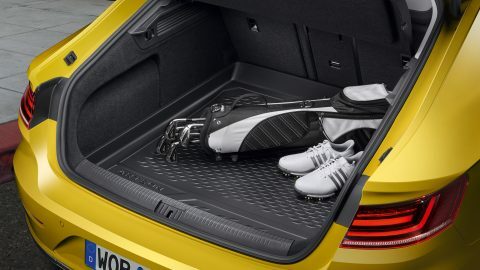 Precise protection in a light and flexible form: the anti-slip liner is designed to perfectly fit the shape of the luggage compartment and to reliably protect it from dirt and moisture. 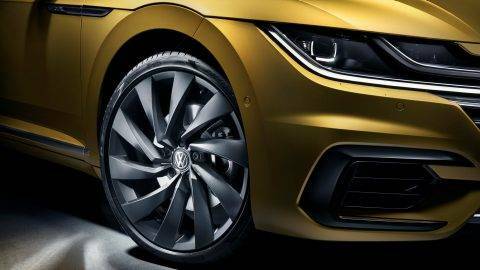 Take a closer look at the information for the Volkswagen Arteon. The information, pictures, colours, and specifications contained within the Volkswagen Group Australia Pty Ltd (Volkswagen) website are presented as a general guide to the products and accessories offered by Volkswagen, as website reproduction processes cannot reproduce the actual exterior and interior colour appearance. Although every effort has been made to ensure that such information is correct and up to date, no warranty is provided that all such information is reliable, complete, accurate or without error. In some cases, pictures of overseas models may be shown as a guide. 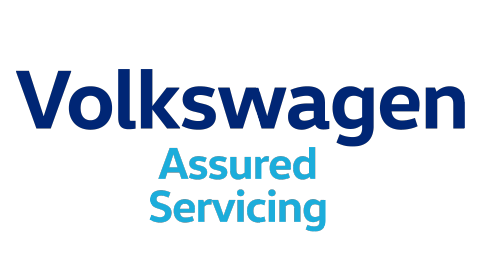 Therefore, Volkswagen does not accept liability for damages of any kind resulting from the access or use of this site and its contents. Please contact us to confirm colours/model availability when ordering your vehicle.